NEW YORK — PepsiCo says it's dropping aspartame from Diet Pepsi in the U.S. in response to customer feedback and replacing it with sucralose, another artificial sweetener commonly known as Splenda. No changes are planned to any cola beverages in Canada at this time, Sandy Lyver, corporate communications manager for PepsiCo Beverages Canada, wrote Friday in an email to The Canadian Press. The decision to swap sweeteners comes as Americans keep turning away from popular diet sodas. Competitor Coca-Cola said this week that sales volume for Diet Coke, which also uses aspartame, fell five per cent in North America in the first three months of the year. By comparison, "love'' had a ranking of 96 and "Christmas'' had a ranking of 88. "Aspartame is the No. 1 reason consumers are dropping diet soda,'' said Seth Kaufman, vice-president of Pepsi. In tests, Kaufman said people still recognized the reformulated drink to be Diet Pepsi, but that it might have a "slightly different mouthfeel.'' The drink will also still have acesulfame potassium, or ace-K, which PepsiCo added to Diet Pepsi starting in late 2012 to help prevent its taste from degrading over time. Aspartame can be sensitive to heat and breaks down easily. 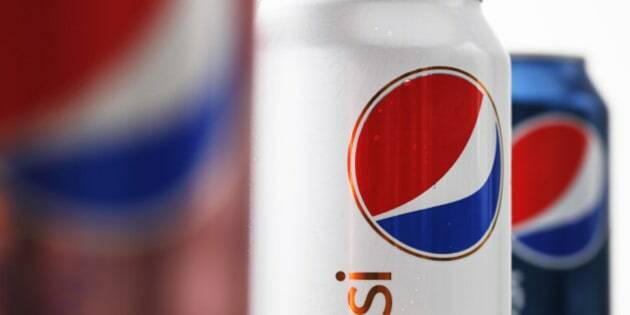 PepsiCo says reformulated Diet Pepsi will start hitting shelves in August. The change only applies to the U.S. market and will affect all varieties of Diet Pepsi, such as Caffeine Free Diet Pepsi and Wild Cherry Diet Pepsi. It will not apply to other PepsiCo drinks, such as Diet Mountain Dew. Representatives for Coca-Cola did not immediately respond to a request for comment.